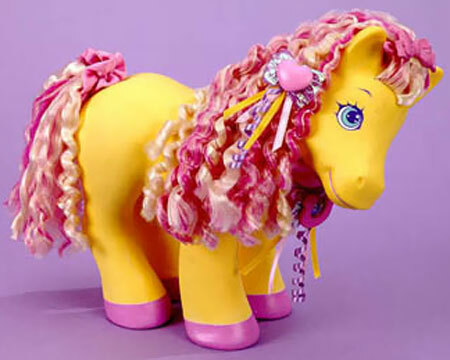 "High Fashion Horses With Beautiful Hair!" 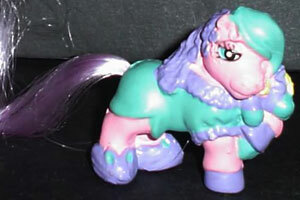 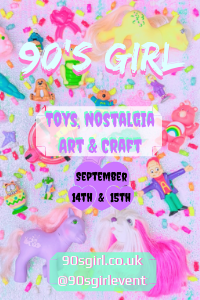 Little Beauties were produced by Multi Toys Corp in 1987-90. 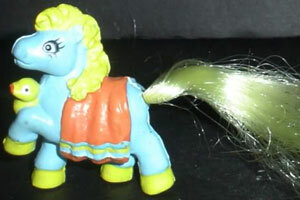 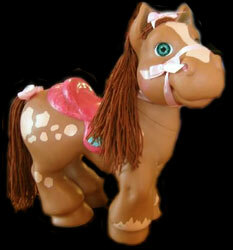 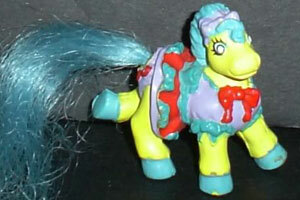 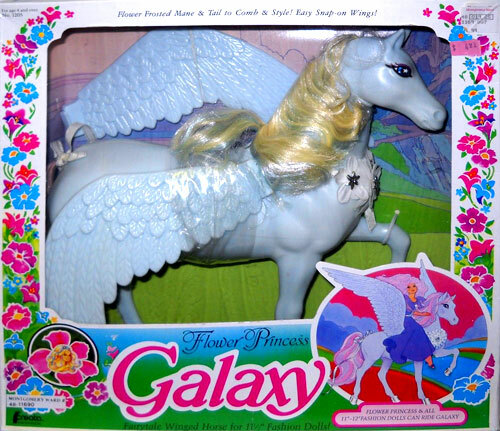 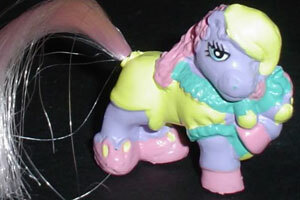 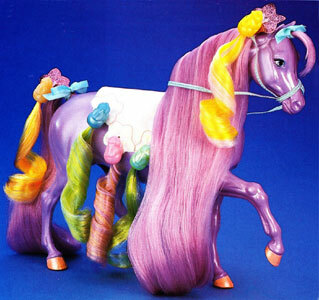 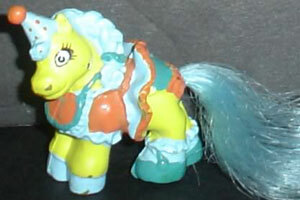 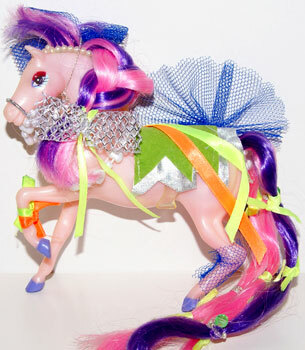 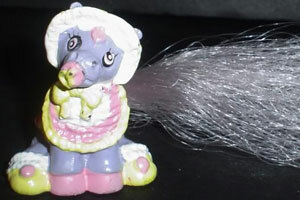 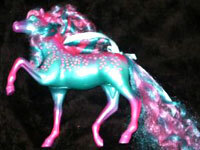 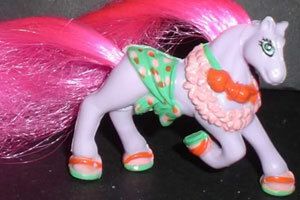 They were a series of small plastic ponies with moulded clothes and brushable manes and tails. 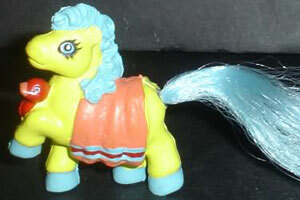 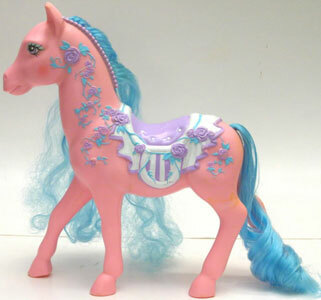 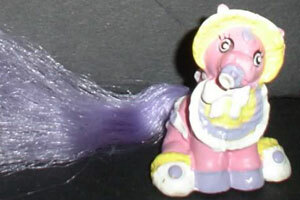 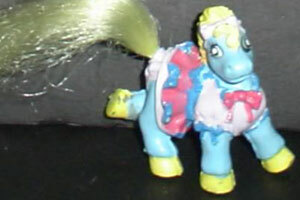 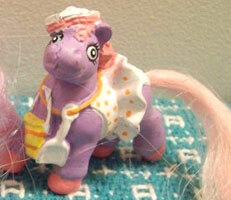 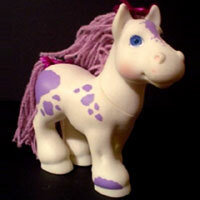 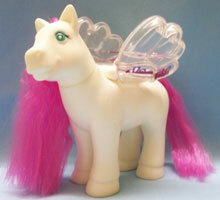 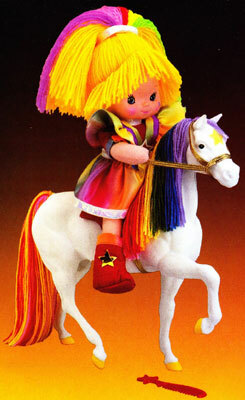 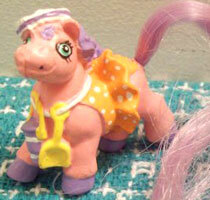 They were very similar to Petite My Little Ponies, and often get mistaken for them or written off as "fakies". 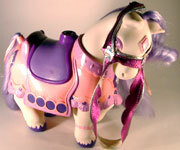 Images on this page thanks to thanks to Jana and Stella! 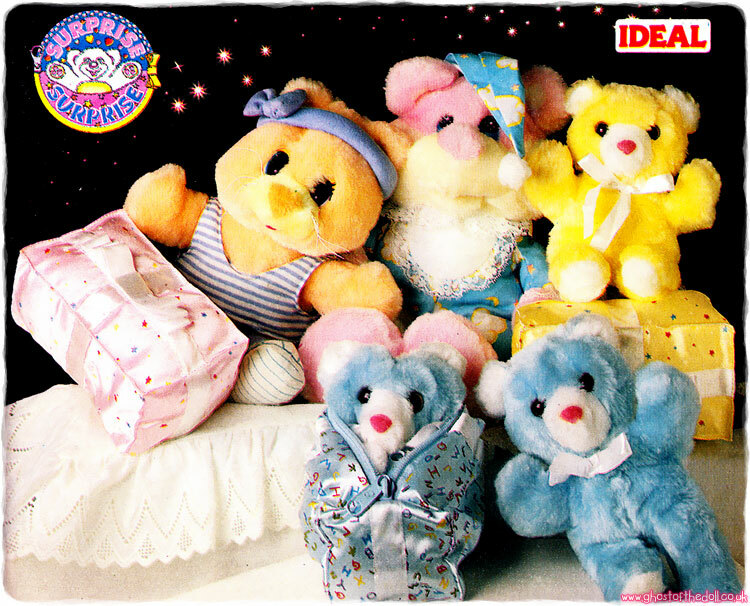 There were six sets of Baby Twins produced. 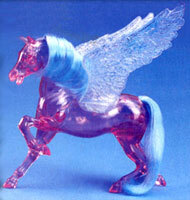 Each pair were made in the same mould but in complimentary colours (pink or purple, yellow or blue). 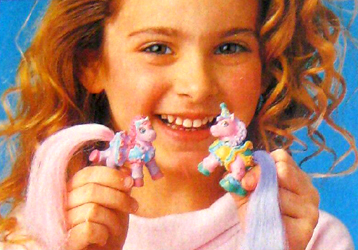 I assume each set came with a comb or brush. 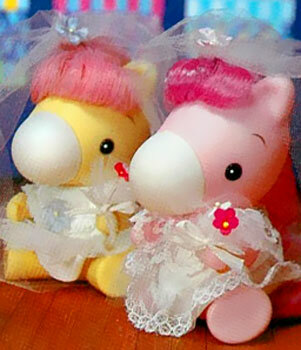 I don't know the names of each twin or set of twins so have just names them according to their clothing for the time being. 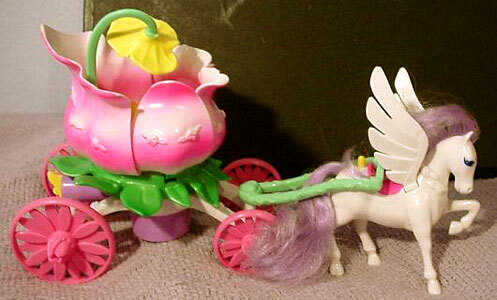 If you know anything more about this set then please contact me!